- PixCell Medical's Point Of Care (POC) blood analyzer is the first cartridge-based system to be FDA cleared, providing all 20 CBC parameters. 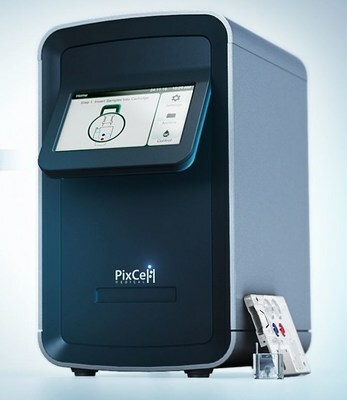 YOKNEAM, Israel, Nov. 7, 2018 /PRNewswire/ -- PixCell Medical announced today that The HemoScreen™ Hematology Analyzer received FDA 510(k) clearance, enabling commercialization in the USA. PixCell Medical develops innovative POC diagnostic devices. The HemoScreen™ is designed to simplify blood testing, making it extremely accessible anywhere and to anyone. Future tests are expected to enable early detection of the most critical health threatening diseases including cancer, infection and heart failure. PixCell's technology is based on patented method called Viscoelastic Focusing and on a proprietary microfluidic based disposable.